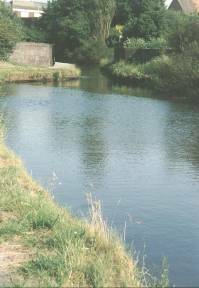 The Cannock Chase Reservoir (later known as Norton Pool and now called Chasewater) was opened in 1799 and feeds water to the whole of the current Wyrley and Essington Canal, and beyond. 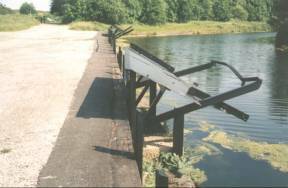 Main access to Chasewater from Pool Road (off A5 Watling Street). Looking along the dam on the reservoir side while it was drained for major repair work. This photo taken looking north - 3/9/2011. Looking along the dam on the canal side while the Reservoir was drained for major repair work. The old structure - before the rebuilding of 2009/2012. 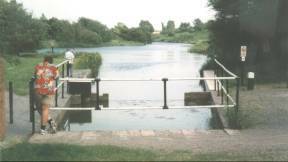 Access to the south end of the dam via Pool Road (off A5 Watling Street). 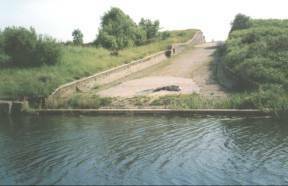 Access to the north end of the dam via Pool Road (off the A5195 bypass). NOTE - that the two parts of Pool Road have no vehicular connection. The new structure - after the rebuilding of 2009/2012. This photo taken looking south-west - 31/3/2016. In the background - Chasewater reservoir is full and overflowing through the dam culverts into the nine-foot pool and then over the lip into the main overflow pound. 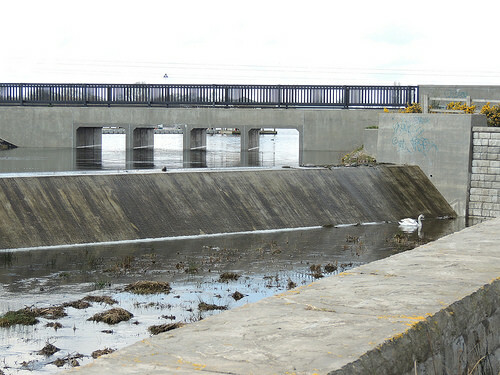 In the foreground at the far end of the main overflow pound water is running to the right below the lowest point of the fence and plummeting into the modern storm drain system. 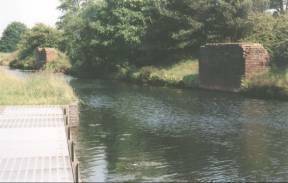 The current system takes the overflow under the canal and eventually outflows into the Crane Brook. This photo taken looking west - 31/3/2016. 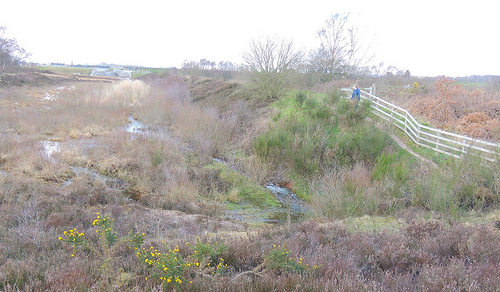 Looking back to the dam of Chasewater or Norton Pool as it was previously known. Access from Pool Road (off A5 Watling Street). 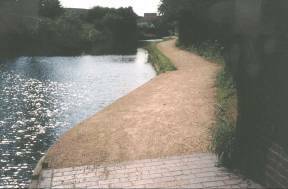 As at April 2015 the narrow access to towpath is now three feet wide as the obstructing post has been cut off at ground level. A060 - Overflow from Chasewater into canal. Bases of the two overhead coal-loading gantries. Taken from opposite overflow looking East. Coal loading shutes from the path of the now removed colliery railway. Taken looking South toward Wharf Lane. Access from Wharf Lane may no longer be possible. 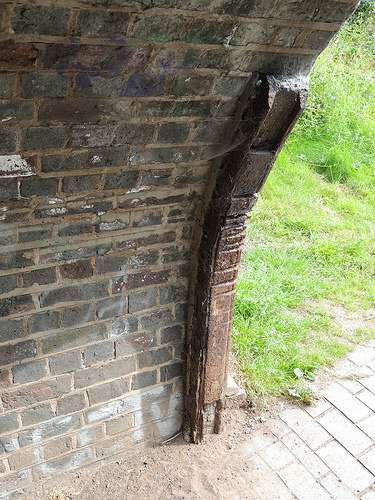 Burntwood Road Bridge (under Whitehorse Road) - Soon to be drastically altered by the BNRR (Birmingham North Relief Road). The new motorway toll road has now been officially named M6(Toll). 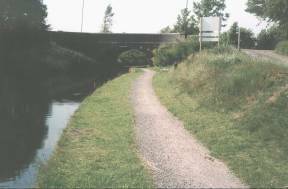 The BNRR has caused the closure of the road link between Brownhills (Whitehorse Road) and Burntwood (Wharf Lane). 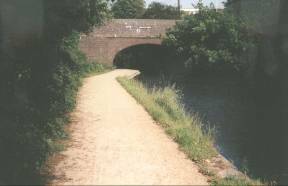 The canal and towpath will remain. NO access from Wharf Lane. 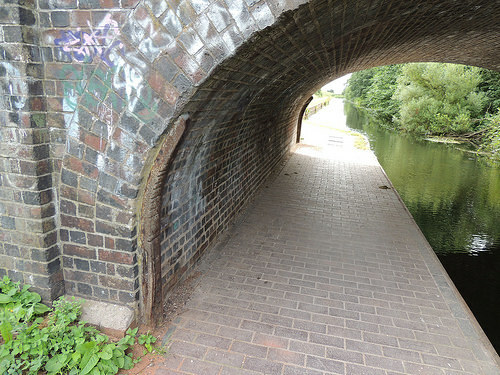 Foot access to Whitehorse Road from the towpath after passing under the bridge. NO access from Wharf Lane. Foot access to Whitehorse Road via the top right of this picture. Freeth Bridge (under Watling Street) - This is the modern addition to carry the widened road of the early 1970s. Freeth Bridge 1849 (under Watling Street) - The original part of the bridge. 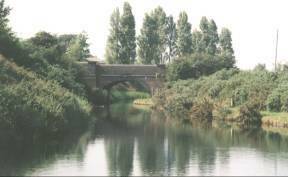 Named after the canal engineer, Mr. John Freeth (Clerk to the Birmingham Canal Navigation Co.), who was responsible for the building of the bridge when the Angelsey Branch was cut. 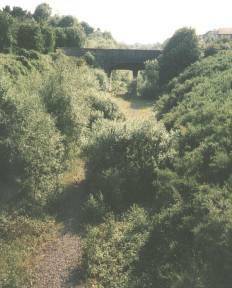 Middleton Railway Aqueduct crossing the L&NWR South Staffordshire Line (now closed). Left - Looking north-east with the A5 Watling Street bridge in the distance. Right - Taken looking SouthWest from Newtown Bridge (A5). 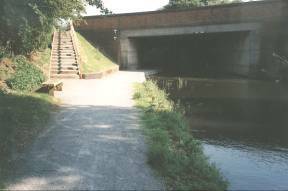 Access along canal (via Chase Road or The Watling Street). 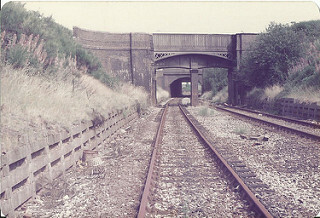 Left - Taken looking back West toward aquaduct from under Middleton Bridge. Left - Taken looking East (toward Middleton Bridge). 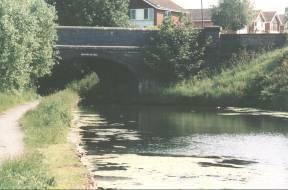 A150 - Middleton Bridge (under Chase Road) - The bridge was named after William Middleton, a landowner and farmer of the area. Horse power on the canals. 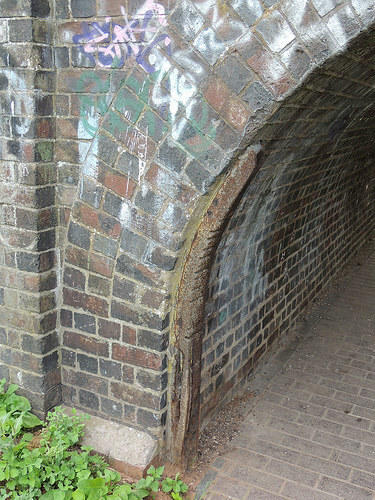 One of the few signs of the importance of horses in the past is the marks on some bridges over canals. The tow ropes passing rubbing against corners thousands upon thousands of times cut into the edges. Here are the height (in inches) of the marks above tow path level. Some heights more used than others cut deeper. Add 10 inches for the height of the tow path above water level. These photos taken 25/7/2016 - west end on the left & east end on the right. 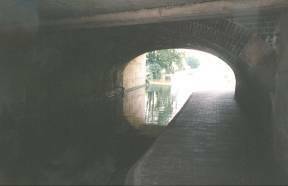 Middleton Bridge (under Chase Road). Access from Chase Road at the other side of the bridge. Anglesey Bridge (signed 1850) - (under Lichfield Road). The poplar trees beyond the bridge mark the site of "The Chemical", a landmark up to the demolition of its tall brick chimney in 1987. 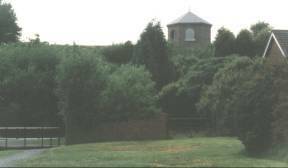 Brownhills Chemical Works was opened in 1870, taking advantage of the canal to bring materials from the gasworks at the other side of Brownhills. From the Second World War aluminium alloys were smelted at the site. As "Super Alloys" scrap Gloster Meteor and Javelin aircraft where stacked at the works, awaiting recycling. Taken looking back North from Ogley Junction (or Anglesey Junction).